07-12-18 The Remix Series kick off! We have now released all the three EP's in our Dialogue Series. The recording process started last year when we set up our own studio in Reykjavik. The songs were mostly written while we were on the road and then we took them into the studio to work further on them. The final push came in January of this year when we got Alap Momin into the studio to finish the project with us. We wanted to release them as soon as possible and not neccessarily with in the normal release protocol. The result was we released them as EP's through out the year. We would then finish the cycle with the release of The Dialogue Series in the physical format of vinyl and compact disc. the compilation of the songs which make up the series. the physical version is out in october. You can get the album now by follwing this link or trot down to your record shop. We have enjoyed this process as it in a way brakes up the format. It provides new challenges in making our music being heard. In the process we have also made videos to some of the songs. 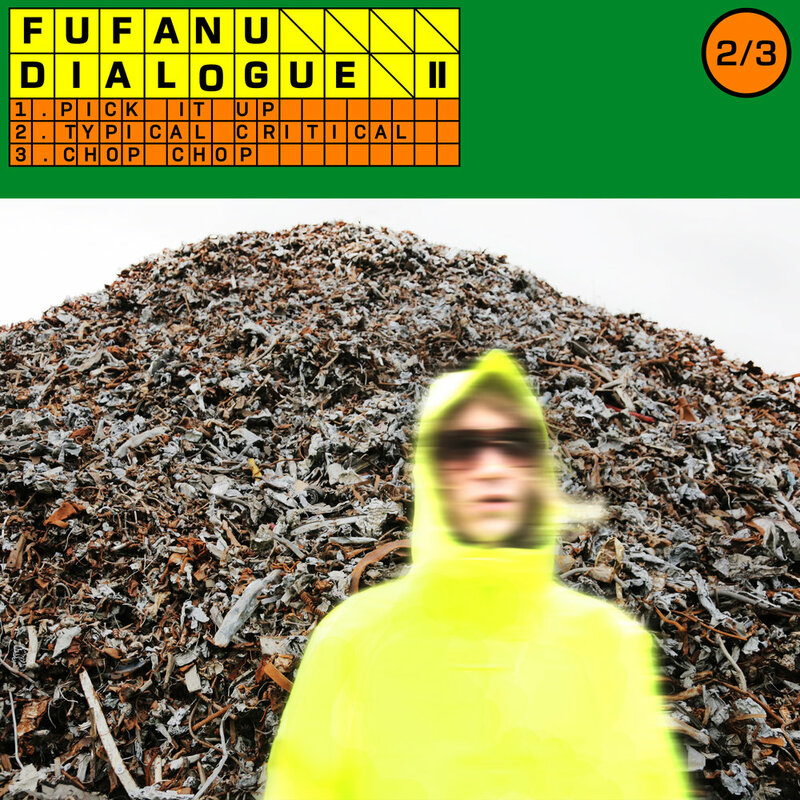 Named ‘Iceland’s most exciting young band’ by Pitchfork after the release of their celebrated sophomore LP Sports last year, enigmatic trio Fufanu have announced the release of a series of EPs throughout 2018 – each one an exercise in exploring their multiple sonic personalities, from motorik and post-punk to alt-techno, to woozy avant-garde electronica. Once the band returned to Iceland after a long stint touring, they had a bag of demoes written at different junctures on the road, purposefully created with no regard for a unified sound. They were eager to release the tracks into the world as and when they were written, looking to capture the sense of urgency with which the songs were formed. However, they asked MC, DJ and producer Alap Momin to listen to the demoes and before they knew it, he was on a flight from Harlem to Iceland to work with the band. The result of his input only served to highlight their desire for a distinctive exploration of genres between each record. Kaktus laughs: “Three Icelandic techno-rockers brought the Harlem club scene to their studio in Iceland – it was a life changing week." One such ‘ballad’, a pensive electronica number named Hourglass, documents the processing of grief, specifically Kaktus’s experience of losing both of his grandparents whilst on tour. Contrastingly, opening track My New Trigger explores the addiction of new love. ““What is great about the creative workflow of Fufanu is that we’ve never just stopped. We’ve never hit a sound that we’re going to stick with, it has always been about discovering what it is we want to make during each moment, and to just keep on exploring. Here are our scheduled concerts for 2019 at the moment. You need to see and hear us, and we need to see and hear you! These are our social media and other channels on the Interweb. & let us not forget Snapchat in this link. Enjoy and follow us as well where you feel like!